One of Cisco Junior High’s unique challenges as a rural school is its small size. With about 65 students per grade, there is only one teacher per subject per grade. While this results in lower class sizes than larger urban schools, it creates additional challenges for providing teachers time to work together. Since there are so few teachers, finding time for the grade level or subject area teachers to meet throughout the school day is impossible. Cisco created Data Days to address this challenge. Data Days occur four times a year and usually follow a benchmark exam (e.g., MAP tests), providing teachers with time and opportunities to analyze data and plan changes for their instruction. Cisco pays for classroom coverage so teachers can meet with their grade level and their vertical team (e.g., 6th-8th grade math) members. Teachers use this time to analyze data, discuss trends and concerns, suggest possible interventions, and share best practices or resources they have found effective in their classrooms. Cisco Junior High School has found this especially helpful for identifying gaps in learning that may go back to elementary school. With the 6th-8th grade math teachers reviewing results together, they have a better perspective as to which skill gaps may be common for their collective students. Data Days are organized and supported by Cisco’s blended learning director. Given the small staff and budget of a rural district, Data Days are predominantly led by teachers. The blended learning director spends the entire day with teachers on the first Data Day, walking them through data sources and best practices for data use, as well as facilitating initial conversations across teams. This approach helps build teachers’ capacity to analyze data and engage in conversation, enabling the blended learning director to support as needed during subsequent Data Days. 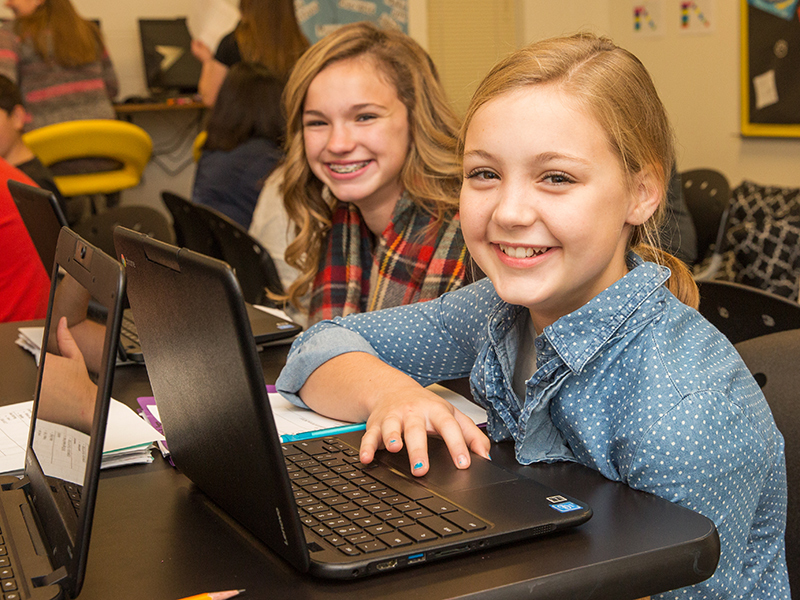 These days have proven to be highly valuable for most educators and Cisco is currently working to create more consistency across the district to help increase the value of future Data Days.